"The island of perfumes", as named by the Venetians, or Pityoyssa as called in antiquity, stands out for its traditional architecture, the prominent place in modern Greek History, as well as for the heady aroma of pine, saltiness and Octopus that exhibits under the sound of the cicadas. Walk in the alley that runs from the main street and ends at the old port of discovering the neoclassical houses on the beach of Agios Nikolaos, built literally on the beach. Sine qua non is a ride with one of the 35 traditional golf carts at the old harbour and the historic Athens and Corgialeneion school. For the island of spetses the carts are one of the traditional means of transport, and not allowed cars (there are ranks at Dapia and Neptunium). 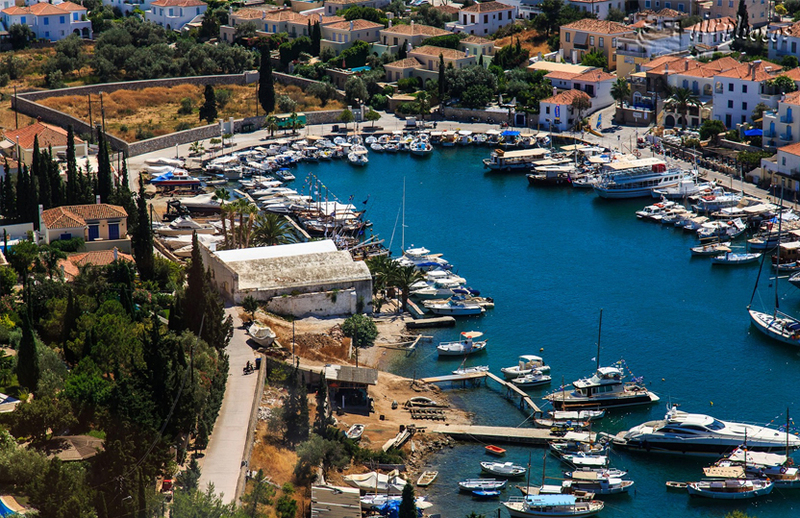 Spetses have beautiful beaches with crystal clear waters and even next to the harbour in the town of spetses. There are organized beaches with umbrellas and sunbeds and beach bars and beaches you can find quiet and solitude. Spetses not allowed On car traffic and machinery and thus access to the seaport is done either on foot, or with the traditional carriages. Departures from the port of Spetses from the port of Spetses departing daily for year-round speedboats and catamarans of Hellenic Seaways to Piraeus and other islands of the Saronic Islands, Poros, Hydra and Aegina. For arrivals and departures information contact the port of Spetses on the phone 22980-72245. Exipyretoyntai visitors and with the water taxis that connect the island with the Costa situated next to Porto Heli and 1.5 mile from the port of Spetses. Air Champion24 .com offers ferries to and from Spetses on all services performed from any port of Greece. You can easily search and choose your ferry route that it serves, easily and instantly. The booking takes place in real time using your credit card or by making a booking with the help of the staff of our Office.